Just what you need to relax after a long day's work, the Loukas collection of motion sectionals is the ultimate in comfort, function, and style. Complete with dual reclining chairs and a back reclining chaise, this collection is made for kicking back and putting your feet up. 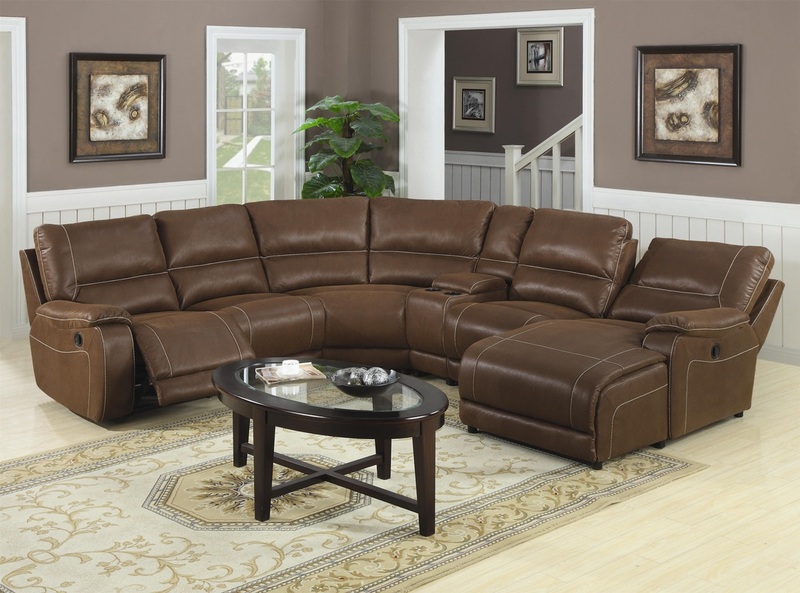 Whether socializing with friends or simply lounging in front of the TV, these sectionals will surround your body with plush comfort and support from their pad-over-chaise seats, pillow-top arms, and channel-tufted back cushions. Upholstered in a padded vinyl with contrasting light stitching, this collection is sure to make any guest feel at home with its soothing and inviting appeal. With the addition of an extra armless chair, as well as a matching storage console and cupholders, you will have more than enough space and convenience for all your friends and family to enjoy.